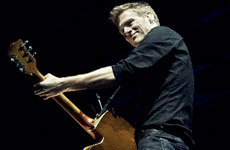 Bryan Adams brings his highly successful concert tour to Ireland in January for The Bare Bones tour. This intimate concert will come to The Royal Theatre Castlebar on Monday 18th January. (The concert is sold out). Adams is currently on the road for his “A Very Special Solo Performance Tour” which includes selections from his eleventh studio album, appropriately titled 11. The Canadian-born, Grammy-winning singer-songwriter has sold more than 65 million albums worldwide, garnered 21 top ten hits, earned nominations for three Academy Awards and five Golden Globes, received 18 Juno Awards, an American Music Award and five ASCAP Film and Television Music Awards for Most Performed Song from a Motion Picture (his music has appeared on more than 40 movie soundtracks). Adams has been awarded the Order of British Columbia and is a companion of the Order of Canada; he has received an award for "Artist of the Decade" and was recently inducted into the Juno Hall of Fame. He also has a star on Canada's Walkway of Fame and recently added his handprint to the Wembley Square of Fame in celebration of his 25th show at the famed stadium. Bryan Adams' live performances have benefited His Royal Highness the Prince of Wales Prince's Trust, Live Aid, Live 8, The Concert for Freedom for Nelson Mandela, Greenpeace, Amnesty International, Net Aid, The Canadian Avalanche Foundation and Breast Cancer, as well as campaigns that have saved the rainforests, provided food and comfort for the needy and created whale sanctuaries. Through his own foundation he has also helped build schools in areas of Southeast Asia, devastated by the tsunami in 2004. Adam's outstanding live concerts have established him as one of the world's best rock singers of our time, performing over 120 concerts a year as he works to spread his message of music and environmental awareness to an audience of millions around the globe. The intimate Irish tour provides a rare opportunity for fans to see Adams as they've not seen him before. Check out the Royal Theatre for all the upcoming concerts and events in Castlebar.